Judy Mancuso has supported the programs and students at the George Washington University Virginia Science & Technology Campus for more than twenty years in a scheduling and enrollment management capacity. Her role requires extensive data management and analysis, as well as strong interpersonal communication skills. She works closely with all of the university departments to ensure professional and consistent operations. Previously, Ms. Mancuso was the Veteran Certifying Official for all VSTC veteran students. She was integral in the development, testing and production of the GW Veteran Tracking Project that was implemented in 2012. Currently, GW provides centralized support for all veteran students through the Office of Military and Veteran Student Services. 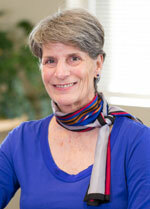 Ms. Mancuso’s prior experience has brought a vast amount of management and operations expertise to the Campus.